is the linked account. I would like to create a new form within globaltgf@gmail.com account by importing it from Americas@tejgyan.com account by either cloning or importing.Currently when I am trying to do a clone within the sub account- it doesn't give me an option to clone from the main account or import a form from the main account. Please advise how to do it. Thank you. Not sure if I understand you correctly, would you like to copy/clone a form from tgfusa to your account globaltgf? 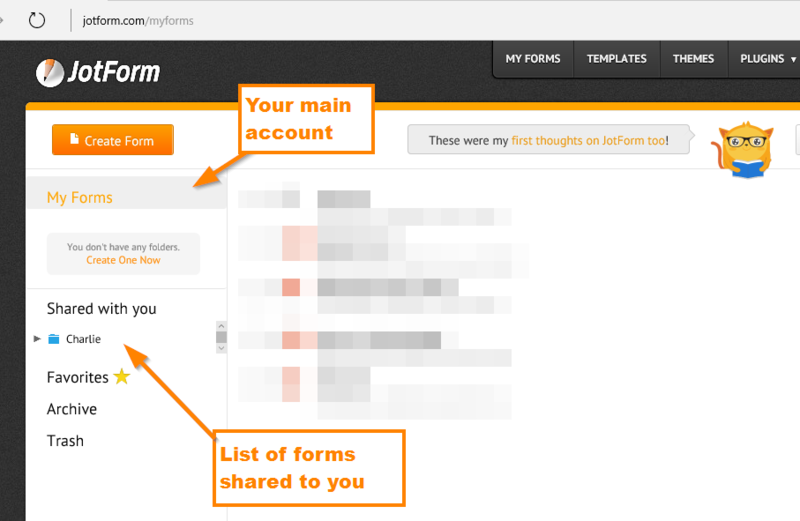 To clone a form, you just need to get the form URL then follow this guide: http://www.jotform.com/help/42-How-to-Clone-an-Existing-Form-from-a-URL. Make sure though that when you want to add the form in your account, you are in your own "My Forms" list section at the left side panel.